Your boss at the office might be the most difficult to buy for this holiday season. 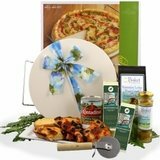 Make it easier with unique corporate gift baskets! 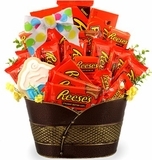 Gourmet gift baskets are hand crafted to be remembered. The details in these hand-crafted baskets make it truly unforgettable, from the elegant reusable containers to wine and cheese to all things decadent; give your boss the gift of appreciation this holiday season! 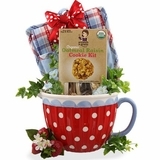 Colorado Country � This gourmet basket provides a warm rustic feel to gift giving. Colorado Country is filled with coffees, teas, cookies and treats that bring the mountains of the West to your boss�s doorstep. 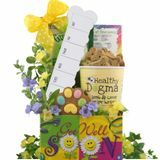 A festive container holds the items that are hand crafted by experts to make your boss feel appreciated. The container then becomes a fixture in the office that can remind them of your generosity with each use! 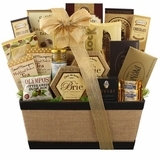 Corporate Executive Wine Themed Gift � The most unique corporate gift baskets are based on variety. At Bisket Baskets, we are filling this gourmet gift basket with chocolate wafer cookies, Wine Glace, cheese spread and much more. This professional gourmet basket is styled to �wow� with a reusable black faux leather embossed container with stitching. Perfectly new, fresh and styled to impress, the Corporate Executive Wine Theme Gift will be the perfect gourmet gift basket for your boss. 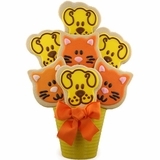 Go For The Gold Gift Tower � Look no further for a unique gift idea than this gold gift tower! Show your boss that you have a heart of gold this holiday season. Six layers of gold boxes, standing 20 inches tall, give the perfect impression of luxury and decadence! Packed with sweets, treats and meats, this tower of delights can make anyone feel truly important this time of year. The most unique corporate gift baskets are designed with the boss in mind. 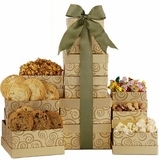 Wines, cheeses, treats, cookies and snacks wrapped in elegant containers give the feeling of appreciation. 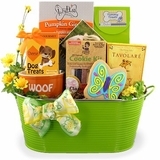 Make your gift buying easy today, check out these unique baskets, as well as many more hand-crafted gifts today!